I really want to be the girl who wears nothing on her skin, but I will admit that I love foundation. I love the way the perfect foundation makes your skin feel. I love the way my face looks after I have applied foundation, but before adding blush or bronzer. I love the magic that the right foundation can do for the way I feel. Here are 3 foundations that have been putting a little pep in my step for the past few months. It Cosmetics CC+ Cream – Forget applying moisturizer and serum and foundation every morning. This CC Cream is all of those things in one. This cream is really thick, but don’t worry it doesn’t feel heavy. Plus you can skip a few steps, so you aren’t adding on layers. When you get a product that makes multiple promises, usually coverage takes a backseat. It Cosmetics seems to have thought of everything. This cream also provides full colour coverage. It almost makes my skin look too good. How often can you say that? 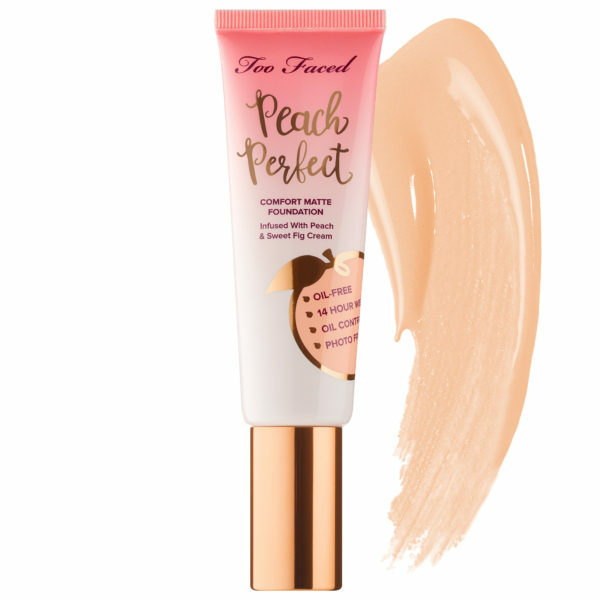 Too Faced Peach Perfect Foundation – There is nothing bad to saying about this foundation. It goes on a bit thick, but unlike some others it never feels heavy. It’s matte, so as soon as it’s dry you don’t even feel it on your skin. It can cover any discolouration, while blending into your skin, so it doesn’t look like you are wearing a lot of makeup. It lasts all day long, and even into the night, meaning I don’t have to worry about my skin. 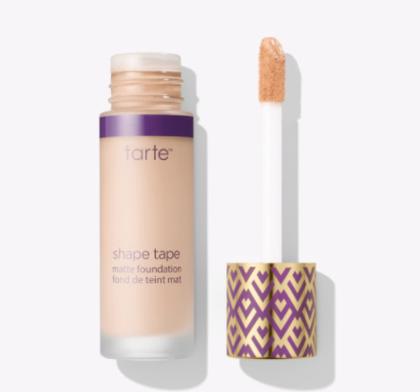 Tarte Clay Stick Foundation – I’ve used a lot of stick foundations in the past, but this one felt different. This felt like any other luxury liquid foundation, but in stick format. When you swipe this stick on your skin, it’s that same soft feel. I definitely recommend investing in a good brush with this for serious blending. You are going to need it! I got the buffer brush from Tarte and it made a world of different. This thick formula will give you an amazing airbrush, magazine worthy finish, but it’s not a quick fix. You need to spend the time. The best part is that it’s also thick enough to be used as a concealer or even a contouring stick if you get the right shades. Bonus!